Dear Readers, many years ago I used to commute to the Netherlands for work. Every Sunday I would catch the last plane into Rotterdam Airport, where the cleaners were mopping the floors, and the security guards were jingling their keys, all ready to lock up. The taxi would take me through the frozen countryside but, as we got into the city itself, the warm glow of light from the uncurtained windows of every flat and house were a constant source of fascination. The interiors were stylish, and there were often families gathered at a perfectly dressed table for their evening meal. Admittedly, I only got the quickest glimpse, but there never seemed to be an overflowing waste-bin, or a pile of clutter on a chair. I loved the openness of this attitude, the generosity of it, as if people were saying ‘Here we are, do have a look if you’re interested’. It’s fair to say that we do things differently where I live. The hedges of the County Roads in East Finchley are truly a wonder to behold. It’s not surprising: our front gardens are tiny and so every passerby can look into our front rooms if they are so minded. So, to provide a bit of privacy, many people have gone for the hedge option. 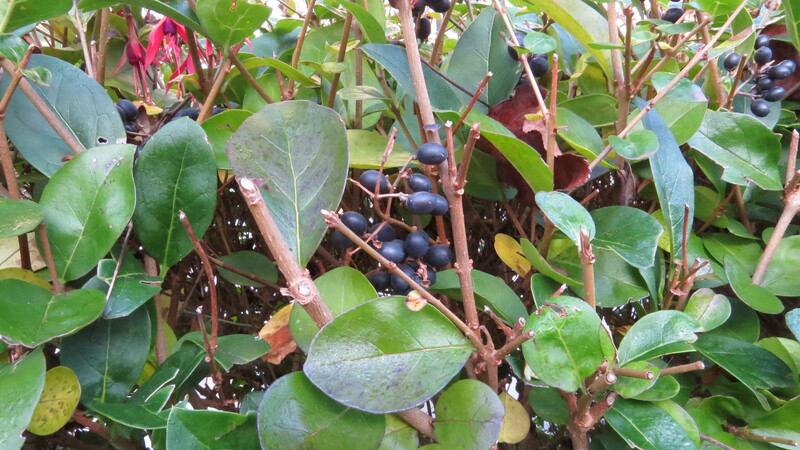 In these parts, the plant of choice seems to be the oval-leafed privet. When I was on ‘Wednesday Weed’ patrol yesterday, I realised that I had never noticed that these hedges bear tiny black berries at this time of year (though I had noticed the sickly-smelling white flowers in the spring). I had always thought of privet as being rather a boring plant (when I thought of it at all). 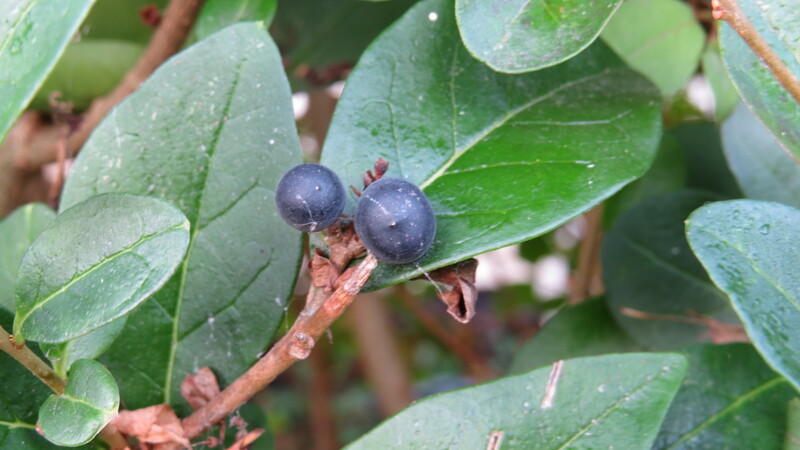 So, what is the story of the oval-leafed privet? 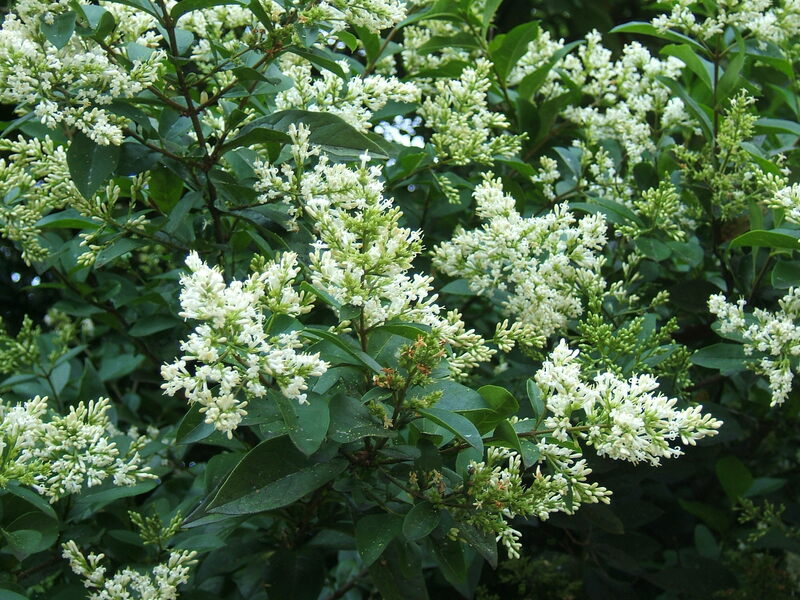 Oval-leafed privet originated in Japan and Korea. We do, in fact, have a native privet, Ligustrum vulgare, which has narrower, smaller leaves than the plant pictured here, but the majority of plants used for hedging in the UK are of the oval-leafed variety, maybe because of its more abundant flowering and fruiting. 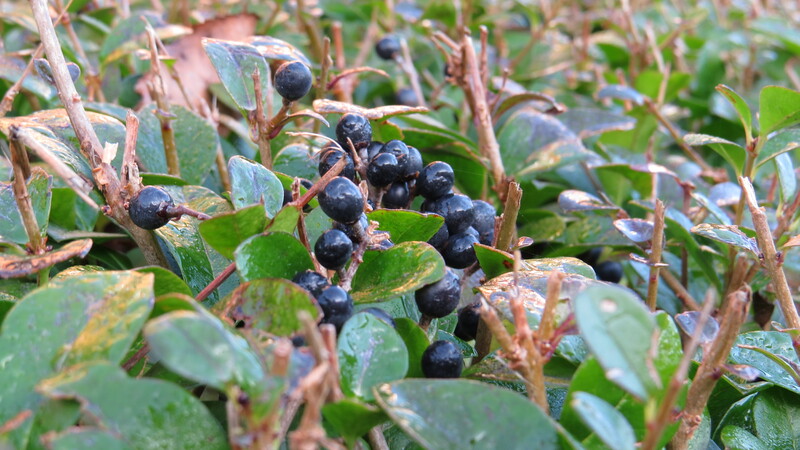 It seems as if every plant that I write about these days is poisonous, and privet is no exception. The RHS website considers it to be ‘somewhat poisonous’ (which is not overwhelmingly helpful). A quick run around the internets has articles which state that privet hedge cuttings can be dangerous for horses, goats, sheep, cattle, hens and rabbits. Another website mentions that the berries are poisonous if eaten by dogs. All in all, it seems that the berries should be left on the bush, for the thrushes that enjoy them ( the plant is in the British Trust for Ornithology’s guide to berries for birds). 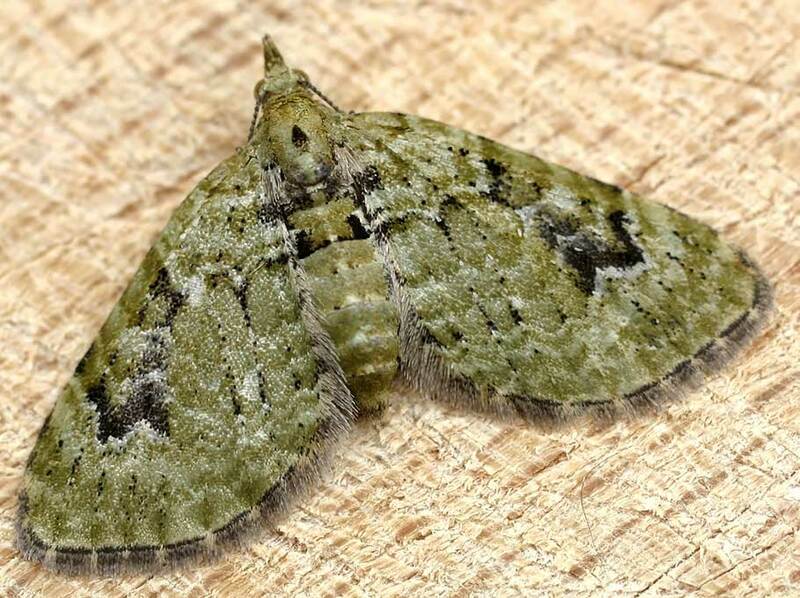 A wide variety of moth caterpillars enjoy a meal of poisonous privet leaves, however. 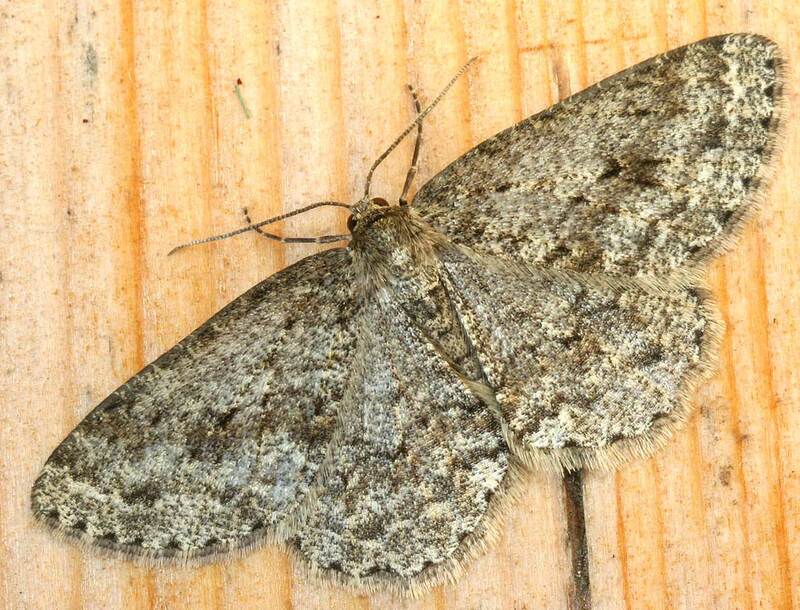 As I love the names of moths almost as much as the moths themselves, a small selection are pictured below. 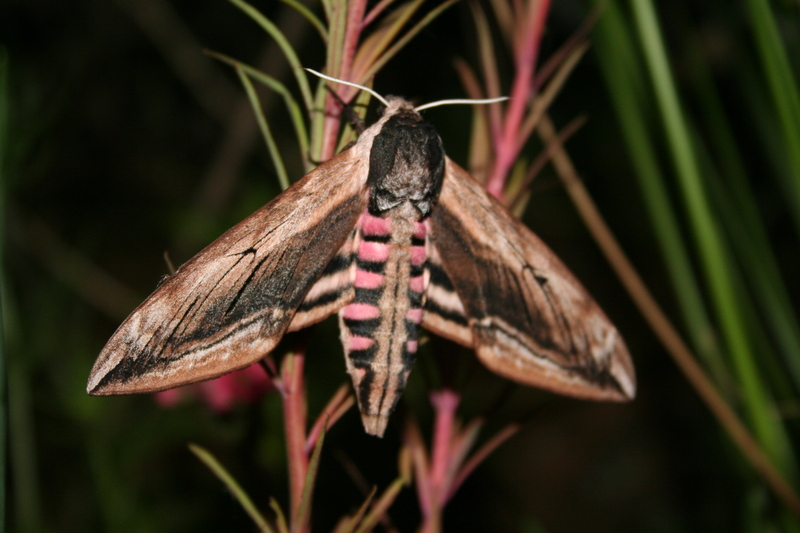 Perhaps the most spectacular of the privet-feeding moths, however, is the privet hawk moth, a creature of satanic beauty which can produce an alarming hissing sound by rubbing the segments of its abdomen together. Do not attempt to replicate this at home unless you want to spend Christmas in traction. 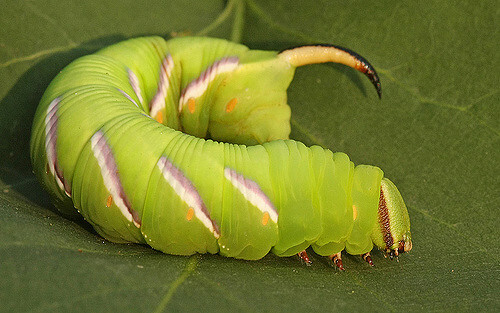 The caterpillar of the privet hawk moth is a delightful lime-green creature with lilac and white side stripes and a sticky-up tail like a terrier. It would be worth growing a privet hedge for the chance of a sight of one of these little chaps. 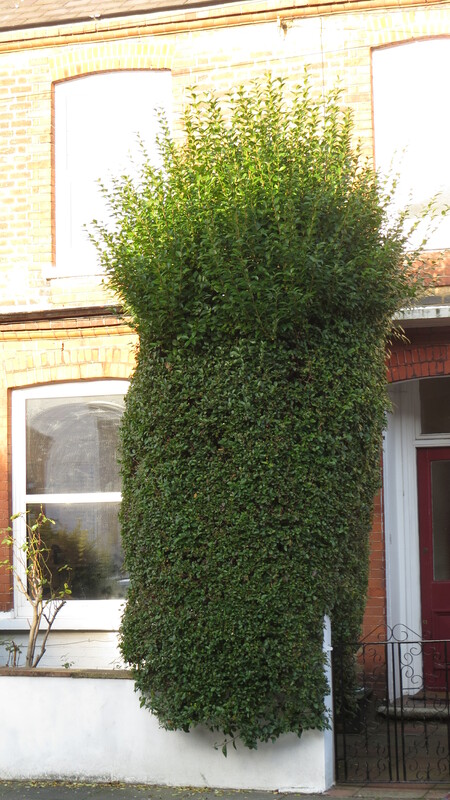 Although the privet hedge is one of the quintessential symbols of suburbia, it turns out to be quite a useful thing, if not cropped indiscriminately. It provides roosting and nesting sites for birds, flowers for pollinators, berries for thrushes and leaves for big fat green caterpillars. Privet hedges thrive in polluted environments, and may even help to protect us from the gases and dust produced by cars. And it also provides opportunities for creative pruning, and for the more energetic among us to let rip with the power tools. Plus, who wants to be washing net curtains all the time? Much better to have a living barrier to the prying eyes of the curious public or, at the very least, something for them to talk about. How I understand the owner of this shrub. There comes a time when the power tools lose their novelty value, and the step ladder is just that bit too short. All other blog content free to use or share non-commercially, but please attribute to me, Vivienne Palmer, and link back to the blog, thank you! This entry was posted in London Plants on December 7, 2016 by Bug Woman. 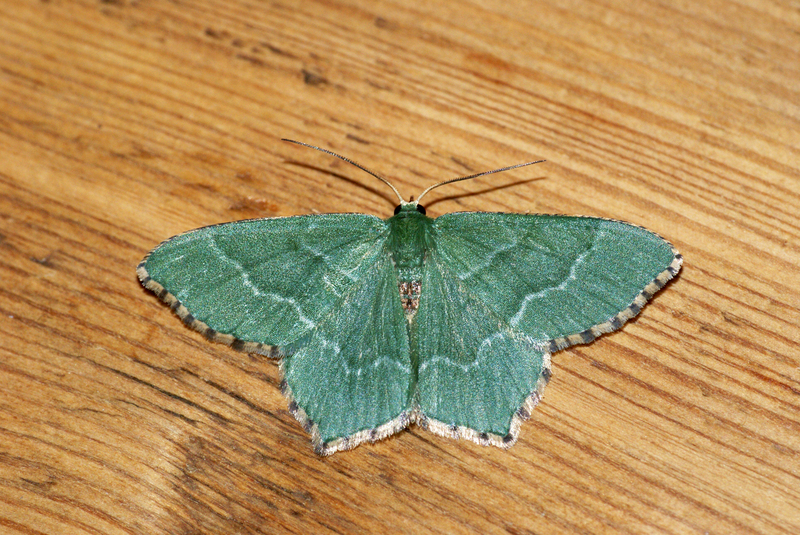 Oh, how I love those moths, especially the Emerald. I have a lone privet ‘stick’. At least, it started as a twig in a bunch of wild flowers then it rooted and I put it in a large pot by my front door where it flowers and fruits to its hearts content but never has it attracted a beautiful moth. You must have green fingers, Toffeeapple….I shall be keeping an eye open for caterpillars on all my local privet hedges next spring. Even the most ‘boring’ plants have an interesting side, it seems. Writing this blog has been such an education for me!